The EZTherm 880 series of infrared cameras are our lowest cost cameras yet. They feature outstanding image quality, accurate temperature measurement (+/-2°C or 2% accuracy), quality construction and a wide range of accessories. With your first touch you'll recognize the exceptional quality and attention to detail; this is a precision instrument! The EZTherm 880 is very easy to use and features motorized focus for real one hand operation. The camera also features a 5 hour battery, removable image storage card, optional lenses and an optional protective lens shield for dirty environments. A digital video output enables you to continuously or remotely monitor critical equipment. If you've decided to get a high quality infrared camera, be sure to check out the EZTherm 880 Infrared Camera. 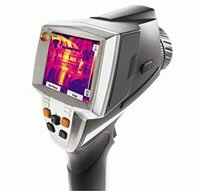 TheTVS-200EX Handheld Thermal Imaging Camera brings many new features for a compact lightweight imager. The camera supports a variety of applications from R&D to facility maintenance. The camera is capable of measuring the temperature of objects up to 500°C, optionally 2000°C. The TVS-200EX is extraordinarily versatile, having both telephoto and wide angle lens adapters available, as well as close-up and microscopic lenses. 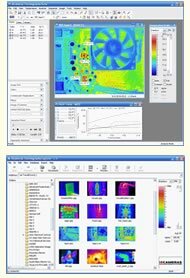 Electrophysics TVS-500EX produces stunning thermal images at 60Hz with excellent resolution and high sensitivity. The camera supports a variety of applications from R&D to facility maintenance. The camera is capable of measuring the temperature of objects up to 500°C, optionally 2000°C. The TVS-500EX is extraordinarily versatile, having both telephoto and wide angle lens adapters available, as well as close-up and microscopic lenses. 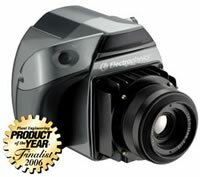 The camera also features a high-speed digital video output capability.